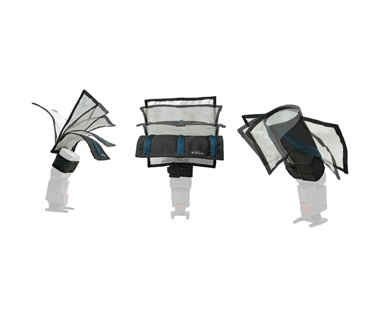 The Rogue Flashbenders Kit comes with flexible flash/Speedlight bounce attachments in 3 different sizes. They pack flat, are super lightweight, and are adjustable to fit nearly all flashgun-style lights. This kit is ideal for travel, events, photojournalism, and for new shooters looking to get started in the basics of light modification. • This is the first generation Rogue Flashbenders Kit.